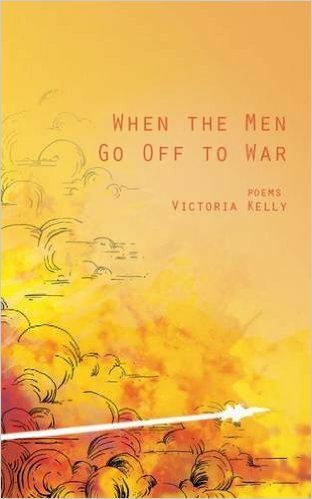 Victoria Kelly’s “When the Men Go Off to War” is a poignant collection of poems that personalizes the emotional highs and lows of military family life during times of conflict. Its powerful prose earns its author — who speaks for family members who deal with it on a daily basis — the right to be placed on any book shelf dedicated to war. Some touch on the loss of physical presence, the separation anxiety and fear of well-being that family members experience when duty calls, while others highlight personal strength and commitment. In “The Good Wife Before Deployment,” Kelly notes that service members must also be emotionally prepared for separation, and that they also undergo the fear of the unknown that a combat tour brings: “And I know a good wife would understand,/a good wife would know her husband/is afraid of her and God;/he is afraid of having something to lose.” Heroes” captures a multitude of suppressed emotions: “But when you talk about wartime, what you tell me/is how many stars there were, and how/some boys flew a kite on the mountain./What you don’t talk about/is huddling with a group of soldiers in a bunker/while the rockets came over the walls, how/most of you by chance came out, but two did not.